Root canal therapy is a common dental procedure that involves the cleansing of the internal structure of the tooth (the dental pulp). This procedure is necessary when dental pulp/nerve becomes irreversibly damaged due to inflammation or infection. Common causes of this damage are dental decay (where a hole gets into the nerve tissue) gum disease (whereby the gum around the tooth is not tight as it should be and bugs sitting in the base of the pocket get into the nerve from the bottom of the tooth) or trauma to the tooth through accident/injury or biting force. The process involves firstly accessing the tooth before careful cleaning, shaping and sterilisation and filling of the internal structure of the tooth. The cavity is then filled with normal filling material and often it is best to cover the whole tooth with either an onlay or crown. 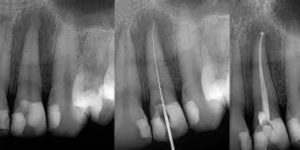 Single Root Endodontics – what happens. 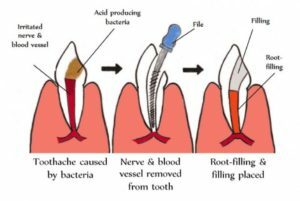 The root canals are reamed to remove the tooth nerves and shape the canals so as the rubber based sealant material can flow in well. The canals are then filled with this rubber based gutta percha before cutting off the ends to seal everything and placing a filling in the tooth. The gold standard for root treated teeth is to have a “cuspal coverage” restoration as mentioned above. Back teeth have a number of roots so can be far trickier as all of the roots need to be located and excavated. Otherwise, the process is the same as it is for single rooted teeth. Root canal therapy in the past has had a poor image and patients often express concern that they have heard that root canal can be unpleasant. Modern endodontics carried out with care and precision is a predictable and virtually pain free procedure. At Eilertsen Dental Care we offer sedation so you could opt to have all or some of the appointments carried out under sedation. It depends on the state of your tooth and whether we decide it is best to place a crown or post and crown on your tooth in addition to the actual root canal therapy. 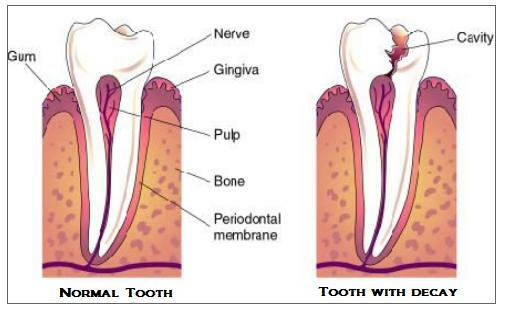 Evidence says that the longevity of the tooth is not improved but carrying out the root treatment over multiple visits however sometimes if there is a lot of infection or pain to start with we opt to place a sedative dressing in the tooth to begin with and then complete the restoration at a second appointment. If we are going to place a crown we will need a further one or two appointments, therefore, it is likely you will require a minimum of two appointments but may require three or four appointments depending on the complexity of your case. Is the treatment likely to work? We aim to carry out the treatment as carefully as possible to give the tooth the best chance and use top of the range materials to restore the tooth. Your post operative homecare remains crucial to helping the tooth and so cleaning very carefully (both brushing and cleaning in between your teeth with floss, tepes or other devices advised by us) and visiting the hygienist regularly will help improve the health of your mouth and reduce the risk of failure. Smoking has an adverse effect on the soft tissues of the mouth and is the biggest risk factor for developing gum disease, therefore, we advise you to stop smoking in order to keep your mouth healthy. If you would like further information on smoking advice please do not hesitate to ask one of our team or your GP for further information.